The week of #werunSF has arrived!! Arielle and I are counting down the days to our journey to SF, which arguably started months ago, but will include a road trip up through Big Sur! Our training these past few months obviously included lots of running (well… as much as we possibly could), but we also added in a lot of cross-training which included barre, spin, HIT, and yoga. This all played a huge part in our overall physical health. Looking for a new ‘fit for your fitness? I curated some of my favorite looks from training these past couple months… Below you’ll find different outfits for different activities. Let’s take a look! One of my favorite combos for longer runs in the heat: compression shorts and a fitted tee. 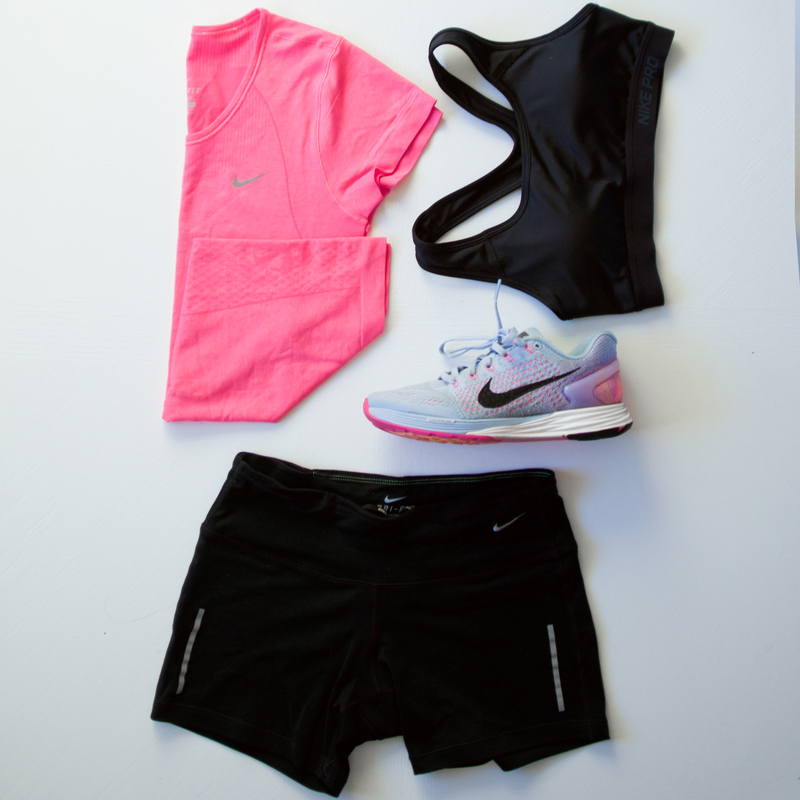 You’ll see this again in another color combo, but I’m in love with my bright, punchy pink tee from Nike (it’s SO soft), and you can’t go wrong with a pair of black running shorts. They also have two pockets for a key and credit card, so you don’t have to worry about holding or stashing your stuff. Make sure you also have tab socks that won’t slide down… these will protect that achilles area from blistering (no bueno). 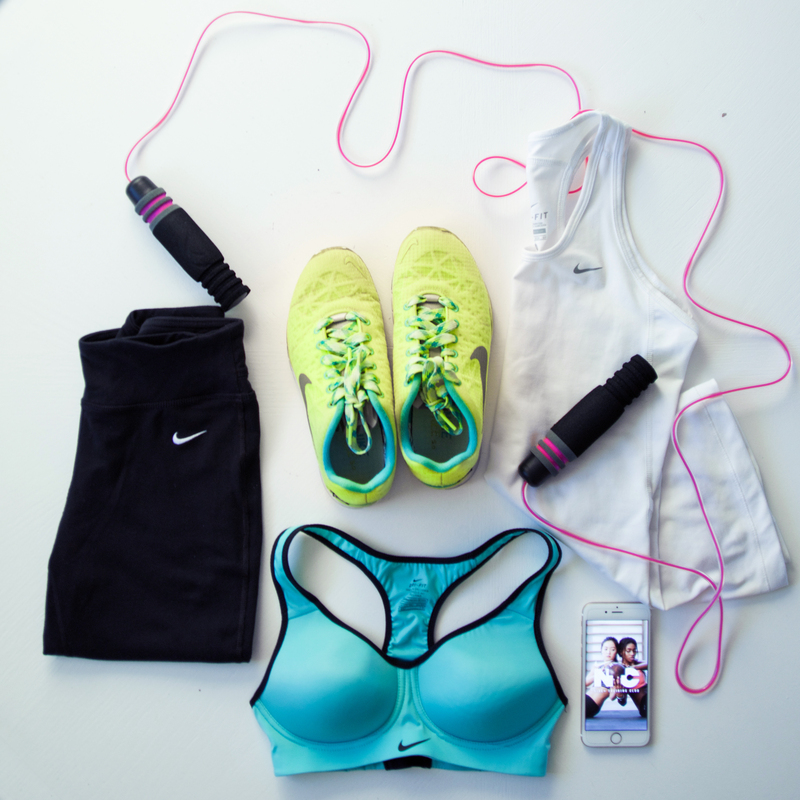 High waisted pant with a longline bra are great for high-sweat activities, and allow for more mobility. Add a lightweight tee to toss on over the outfit for to-and-from, easy sneakers (also for the to-and-from), and bring a towel for the sweat. For N+TC, BBG, Strong Movement, or the gym. Keep the girls in place with a high-impact bra, and keep it simple with crops and a tank. The TR Fit shoes are designed for lateral movement (and even more marketing words if you’d like to hear more), so they are ideal for cross-training. 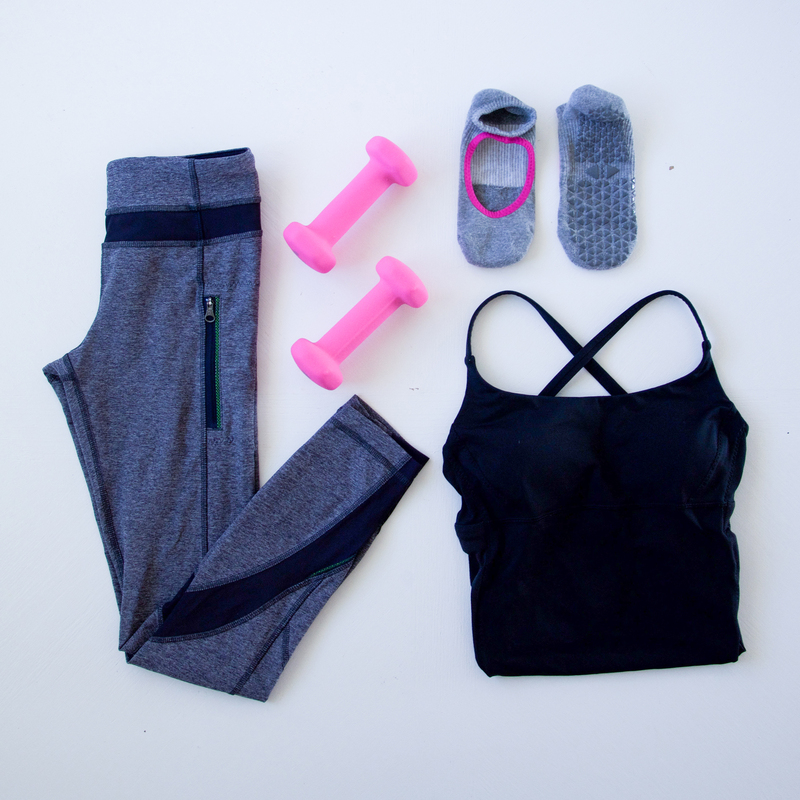 “Form fitting” clothing and grip socks are typically a requirement at most barre studios. These tights and tailored tank from lulu are slimming, smoothing, and all around amazing. The low back of the top is a pretty cute addition, and is super breathable. What I love most about these shorts from lulu is that they are breathable, but snug enough so they don’t ride up AT ALL. Even though I’m super petite and in decently good shape, all shorts tend to hike up on my inner thighs and become underwear (not a good look)… thus making me feel fat. No one wants to feel fat. These shorts do just the opposite, and stay in place no matter how many miles I run. A great compression bra from Nike and a flattering tee from lulu ensure I look good and feel good. 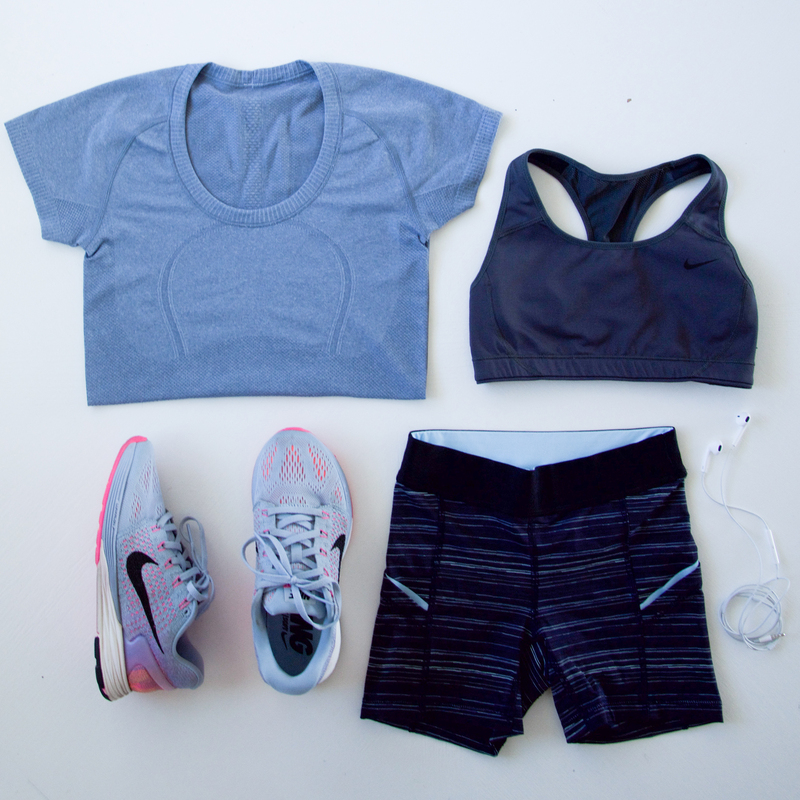 I don’t know about you, but if I absolutely can’t get the motivation to work out, a cute outfit typically helps. Yeah, that statement was basic, but DGAF. Hope you find something beautiful to wear on your next fit-endeavor!